All processes on constant test mode. Keep improving – every day! The quality of our products and our personal services has to reach very high criteria, because quality is the base for economical success of our enterprises. Every member of staff is responsible for our quality policy, which guarantees the on time fulfillment of our customer’s requirements – that is an inherent part of our business conduct. 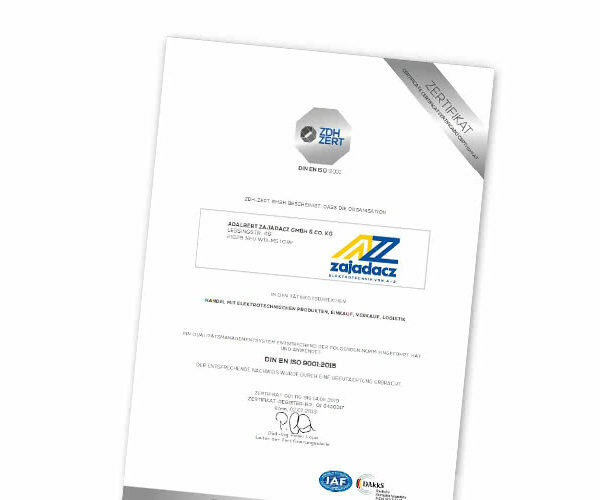 We at Zajadacz feel obligated to satisfy these standards certified by DIN EN ISO 9001 in 2015. All working processes are constantly tested, so that the certification is not just a paper on the wall, but is firmly embedded in the brains and performance of our staff.